How do you maintain your facilities carpet appearance and extend your investment? It’s essential that you first start with the right specification, design/color, and installation of the carpet to ensure optimum performance. Then protect your investment with a consistent and effective carpet cleaning and maintenance program, which will extend the life of your carpet. The Pros at Eagle Mat offer a full-service program that starts with the best in design, specification, and installation. 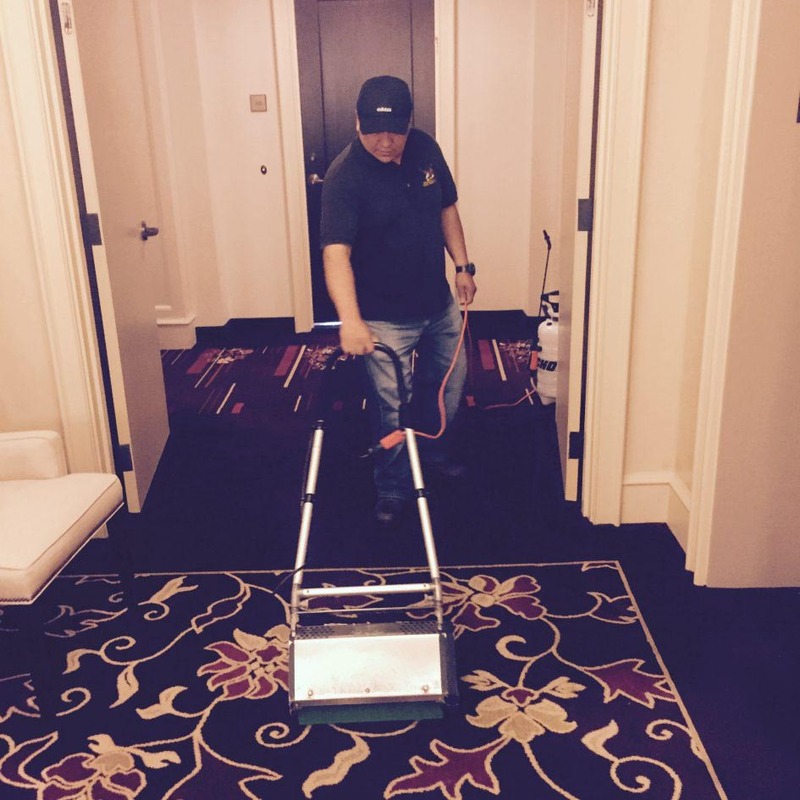 For your carpet cleaning program, we will work with you in choosing the best products, methods, and plans to provide the correct solution for your facility. We will assess your facility layout, traffic patterns and hours of operation to create a comprehensive maintenance care program. A poorly maintained floor covering can adversely affect a facility’s image, reduce performance and accelerate the need for replacement. So, set up a calendar, and make sure you’re cleaning it correctly, often enough, and at the right intervals. By implementing a routine carpet maintenance program with Eagle Mat’s highly-trained technicians, you preserve and maintain your floor covering and extend the life of your investment. Call us to schedule a free consultation today. For over 35 years Eagle Mat & Floor Products has been providing sales, installation and cleaning of commercial flooring products to Corporate, Education, Hospitality, Government and the commercial real estate community. It’s easy to contact us, and we’re happy to help. You can always call us at (301) 762-2000 or email us at sales@eaglemat.net for more information.